Lululemon’s internal culture has a reputation for being like a cult. “It’s the first time I’ve heard of anyone almost directly using the techniques of cults and applying them to their business,” Douglas Atkin, author of The Culting of Brands, once told Fast Company. We talked to a former employee about the culture at Lululemon. Hope*, a 23-year-old, worked at Lululemon as an entry-level store associate for more than a year in 2009. From what employees read to how meetings went down, we learned all about what it’s like to work at Lululemon. Q: What was your interview at Lululemon like? A: It was a group interview where a bunch of us sat on the floor on pillows. It was very relaxed and we shared things about ourselves, like our hobbies and how we defined success. There were no really formal questions. Q: How did Lululemon train you? A: Your first day they start giving you books, like by Malcolm Gladwell and the CEO of Starbucks. They also give you CDs to listen to about what it takes to be successful. I really bought into that stuff when I worked there. Q: Does everyone who works at Lululemon do yoga? A: No, not at all. 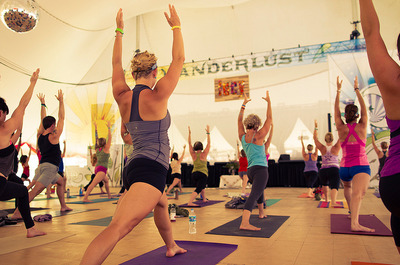 I think there was a good blend of people who did yoga, as well as runners and dancers. Because of the merchandise, I think it's natural that more athletic people worked there. Q: Were there any perks to the job? 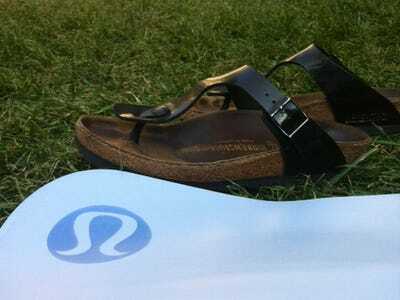 A: Lululemon paid for unlimited fitness classes for its employees: yoga, pilates, dance, anything else. You'd just bring in your receipt and get reimbursed. I recently heard they changed the policy to a limited amount of classes per week. Q: What was your relationship with coworkers like? 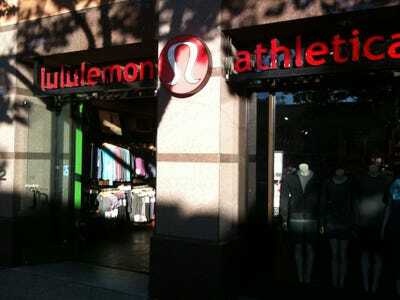 A: Lululemon was always working to make sure we bonded. We had 'goal sessions' with coworkers. The company would sanction hikes, conferences, fitness classes. The people I worked with were nice and we got close. Q: What did you notice about the company's strategy? A: They try to make it look like the product is sparse (even if we have tons of stuff in the back room). We would only carry one or two of every size and then wouldn't replace it when it sold out. Q: So is it true that stuff doesn't go on sale? Q: What kind of people succeeded at Lululemon? A: You have to drink the Kool-Aid a bit, and if you're not going to drink it, you won't do well and you probably won't like it. Most people do like working there. Q: Did you sell on commission? A: They did group commission, instead of individual. That actually made the associates happier, because we weren't really competing with one another for customers. It was all for the greater good of the store. Q: Were the customers as intense as everyone says? A: Oh, yeah. We had people come in all the time and would buy one of something in every colour. Then there were always customers calling to see when we'd get a new shipment of merchandise in. Q: Did Lululemon give you any tips for selling? A: They had talking points for every piece in the store for why it was so great. They'd send us the merchandising tips every week. We'd also get instructions on how we were supposed to rearrange the products for that week. Q: Why do you think Lululemon is so successful? A: They have a great product and they know who to market it to. They impress their customers by having both reliable staples (like basic bra tops and pants) and fun items that surprise and 'wow' you (like jackets with removable hoods and pants with detachable parts). Q: What did you wear on the job? A: We were instructed to wear athletic attire or anything by Lululemon. Along with all the athletic stuff, they make sweaters and dresses. Otherwise, we had to dress like we were going to work out. Q: Would you endorse the products? A: Definitely, I still wear them and love them. I asked for one of their jackets for Christmas this year. Q: How did you feel about your role in the company? A: You were supposed to take ownership of the store. When you left, it was clear you were representing the company. If we went to fitness classes, we were supposed to tell others where we worked and maybe invite them to events. It was a lifestyle. Q: Why did you leave Lululemon? A: I felt like I needed to be very devoted to the company, and kind of live and breathe Lulu. When I started taking harder classes at school, I found it hard to balance both the job and schooling.